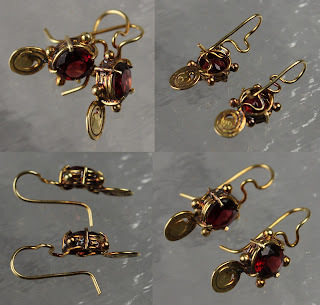 Here are a pair of earrings I was recently commissioned to make. This is another example of the great versatility of wire. So far I have managed to find some pretty nifty solutions to needing sheet it has been quite fun and I am looking forward to future challenges. For now I have to go play with some more wire. I will be back again with more soon. Did Joffry commission these for his bride-to-be, Sansa? Am I spelling these names even close to right?